Welcome to OLLI at UVM! 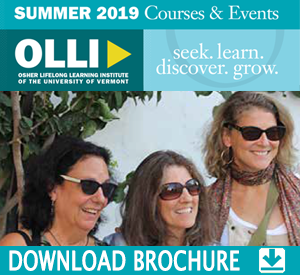 OLLI (Osher Lifelong Learning Institute) at UVM is a community of adult learners who enjoy year-round courses and events that are diverse, interesting, fun, and affordable. Becoming a member of OLLI at UVM gives you a significant discount on courses, access to members-only seminars with engaging speakers, and exclusive benefits. OLLI at UVM is a self-sustaining organization supported by membership and course fees and a volunteer advisory board. OLLI at UVM joins 119 colleges and universities in the United States that provide life-long learning opportunities to 50+ adults. In 2002, UVM received an endowment from the Osher Foundation establishing eight state-wide Vermont OLLI’s. Additional funding received in 2010 supported the start of our campus-based OLLI at UVM. OLLI at UVM Members enjoy a minimum discount of 30% on all courses, which is reflected in the Member prices. Should you have any questions, or need reasonable accommodations please contact Customer Relations at 1-800-639-3210 or uvmolli@uvm.edu. We would be happy to assist you. Most courses are held at a convenient location on the UVM Campus with parking nearby. Please note: Credit or refunds for any cancellations made less than 21 days prior to the start date of field trips involving Premiere Coach Bus transportation (trips to Montreal, Quebec, St. Johnsbury, etc.) will not be issued. Allyan recounts her childhood growing up under Batista, living through the July 26th Revolution, and changes experienced under Fidel Castro’s reign. She will also review a bit of Cuban history (including Taino Indians, Spanish occupation, and American involvement), Cuba’s geography/flora, architecture, and culture. Join us on this journey of the senses. Explore and taste teas from lesser-known tea-growing regions, including Korea, Vietnam, Myanmar, Hawaii, and Thailand. Discuss tea production, the natural environment, and the people/culture of each country. Enjoy traditionally brewed teas and a small snack. The Dead Sea Scrolls are one of the most important archaeological discoveries of the twentieth century. Found in caves near the Dead Sea from 1947-1956, they were mostly produced by a Jewish sect that lived in this region from around 150 B.C.E. to 68 C.E., when they were likely wiped out by the Roman army. The scrolls have revolutionized our understandings of the Hebrew Bible, ancient Judaism, and the origins of Christianity. In this session, we will learn about the discovery and have a chance in class to read and discuss translations of some of the most important segments of the scrolls. Join VPR Classical host James Stewart on a journey of discovery into the many “isms” that dominated one of the most tumultuous 100 years of human history, including Impressionism, Expressionism, Atonalism, Serialism, Neoclassicism, and Minimalism. Musical expression fractured in the 20th Century like no other century before. This one-time lecture will cover the conflicts, philosophy, and artistic and technological developments that shaped the way we express ourselves through music. Discover new works and musical experiments, learn the stories behind some of the most influential works, and maybe find a new favorite piece of music. Bring materials to take notes should you so choose. The history of Vermont’s granite industry is the history of Vermont and, in many ways, that of the nation. It is a tale of hope and loss, of eager immigrants and underemployed Yankees chasing a dream, of promising developers, of talented artists, of hard-nosed businessmen, and of accomplished men and women that shaped our nation’s cemeteries, parks, and public architecture. Learn about the people, tools, and places behind one of Vermont’s oldest and most important trades – the granite industry. Downtown Burlington History and Architecture Walk – THIS CLASS IS FULL. Sign up for the June session (under summer offerings)! Uncover the intriguing history and diverse historic architecture of downtown Burlington. This class will provide an in-depth lesson on historic American architectural styles by exploring various examples in Burlington. There will be several opportunities for participants to take a seat throughout the tour. The tour will meet on Church Street in front of City Hall. Learn the process of making and maintaining a wild yeast starter, creating the dough, and baking the crusty loaves. Prepare the dough in class and take it home to let it finish rising before baking. Take home your own starter so you can continue to make your own fabulous bread at home. Aprons are provided. Transportation to The Essex Resort & Spa Kitchen is on your own. This class serves as an introduction to yoga and is specifically designed for brand new beginners over age 50. Taught in a gentle and light-hearted way, it is easily accessible to any level of fitness. This series introduces participants to the basics of yoga, including the physical practice (asana), the breathing practices (pranayama), and meditation. Participants should wear loose (but fitted) clothes and provide their own yoga mat. *Members can sign up for both Monday (Yoga I) and Wednesday (Yoga II) classes in Session 1 – eight classes for only $60! Drawing from Shelburne Museum’s extensive historic textile collections, Ink & Icons: Album Quilts from the Permanent Collection brings together nine exquisite bedcovers to investigate the ways quiltmakers and communities created lasting material memories by reproducing meaningful symbols and taking advantage of technological developments like reliable indelible inks to tell their stories. Objects range from carefully inscribed friendship albums and botanical compendia to red-work storybook albums, the iconic “Major Ringgold” Baltimore Album quilt, and more. Ever wanted to learn how to play an instrument? Ukuleles are a great way to explore that desire. They are easy to learn and can provide a lifetime of discovery. Take a light-hearted journey as we learn essential chords and strums. Explore the mechanics of playing, dabble in a touch of music theory, and gain confidence in playing with others. Discuss what you need to know to continue exploring beyond what we cover in class. Materials: A playable ukulele, a tuner (clip-on electronic tuners are recommended and available online, local musical instrument stores, or for purchase at class; free tuners on smartphones work acceptably but can be more difficult for beginners), a music stand is helpful but not required. Week 1: Learn an easy tune with 4 chords that flow into each other. Using this song, we’ll learn about the mechanics of playing: holding the uke, strumming, getting your fingers to make the chord shapes, and singing. Week 2: Build on what we learned, answering questions that arose during the week, and introduce more songs that use the same chords to reinforce what we learned in week 1. We’ll introduce 2 more chords. Week 3: Learn 2 more chords and apply them and previous lessons to one or two new tunes that emphasize new strumming patterns. We’ll also touch upon fingerpicking and other fun things ways to play the ukulele. Week 4: Learn essentials for becoming comfortable playing with others in jams and gatherings, and learn how to read chords from guitars and other ukes. We’ll celebrate what we’ve learned with a fun play/sing-along. Join nationally published journalist and best-selling author, David Goodman, to discuss the state of journalism under the president and his current assaults on freedom of the press. Examine the short history of official propaganda. Come join us as we explore the technique of the Impressionists. Where will your inspiration come from? Van Gogh’s Sunflowers, Monet’s Water Lilies, or a scene you have been wanting to try with an Impressionist touch? You will be guided through a painting from start to finish, but unlike other paint and sip experiences, each individual’s final piece will be completely unique. Enrollment includes all painting materials and one glass of wine, beer or non-alcoholic beverage. Snacks and additional drinks will be available for purchase. Absolute beginners and experienced painters are welcome. Location: Meet at the end of Killarney Drive, near the bike path. OLLI signs will be posted. Join Senior Naturalist, Jacob Holzberg-Pill, for a walk through the local natural area. Identify common local trees. Discuss how geology, hydrology, sunlight, land use history, climate change, and biological invasions affect tree distribution and growth. Develop the skills to apply this knowledge to home or neighborhood woods. Learn the steps of using hand tools to cut glass and discuss how color and design influence the way the glass will fuse together in the kiln. Create your own unique piece of functional art. Once your plate, bowl, or vase is assembled, it will be fired in our glass kiln twice. You will be able to pick up your finished project in about one week. No previous experience necessary. All materials provided. Enjoy a day strolling through the Botanical Gardens of Montreal, including a guided tour of the Chinese, Japanese, and Native American Gardens. Eat at the small café on site or pack a lunch. Premiere coach bus transportation included. Learn about Shelburne Farm’s past history and its current life as a non-profit organization whose mission is to educate for sustainability. We’ll tour the Inn, farm and dairy barns, and formal gardens overlooking Lake Champlain. Participants should be able to climb three steps and walk up to 300 feet. Join ISA Board Certified Master Arborist/Municipal Specialist, Brian Sullivan, for a two-hour walking tour of some of Burlington’s urban forest to discuss how trees function and the challenges they face. This is a moderately-paced walking tour, with some flat surfaces and uphill and downhill walking. Birds have inspired poets and dreamers for all of human history. The inspiration for poetic flights of fancy through the ages are gathered together in this class filled with images and poetry in a classroom. During the second session, we’ll take a field trip (transportation on your own) to watch and listen to beautiful birds and then maybe write some lovely words ourselves! Materials: Participants should bring writing pads or sketch pads, pencils, pens, etc. to the field trip, along with folding chairs. Are you confused when you find yourself overreacting to things that happen around you? Would you like to enhance your state of happiness by managing your emotions more effectively? Happiness comes when we understand the biology of our emotions and find ways to manage our emotional reactions to the world around us. By understanding the biology of emotions through affects and affect theory, we can find contentment. Explore the nine biologically-based affects, along with an understanding of how and why these affects activate. This class will explore the importance of naming one’s affect out loud to release the pressure on the emotional brain from negative affects. Together, we will explore an affect management system to enhance your life with peace and well-being. Uncover the intriguing history and diverse historic architecture of downtown Burlington. This class will provide an in-depth lesson on historic American architectural styles by exploring various examples in Burlington. There will be several opportunities for participants to take a seat throughout the tour. Join Dartmouth College’s Hood Museum curators on an OLLI-customized tour of the newly renovated museum. Enjoy socially and politically engaged artwork that addresses environmental, racial, and gender identity including works from Native American and Aboriginal Australian artists that have been traditionally overlooked. Tour the other parts of the museum on your own and enjoy lunch on your own in town. Premier coach bus transportation provided. What is CBD and Why is Everyone Taking It? CBD, or Cannabidiol, is a very popular, plant-based medicine that is taking the country by storm right now. 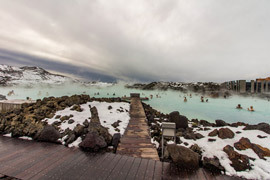 Come hear about what it is exactly, what plants it is derived from, what are the ailments/conditions people are taking it for, and what are the ways in which it can enhance health overall. This very effective natural remedy is also non-intoxicating and can be bought over the counter. This program will also review the current legal status of hemp-derived CBD and we will have free samples to take home with you. Join Dedalus’ Director of Wine Education, Brittany Galbraith, as she breaks down the individual components of wine. Taste five wines and learn how to describe the wines you like. This class is a great first step if you’re just getting into wine. It’s also useful for wine drinkers looking for a palate tune-up. A take-home workbook and wine tasting are included in the course fee. Join us for an interactive and informative session geared toward people contemplating downsizing but don’t know where to start. We’ll provide you with a roadmap to help you navigate the process and prepare for the ups and downs of this monumental task. We’ll also explore how to stage your home to look its best for prospective buyers, keeping in mind the home you live in is not the home you sell. Bring your questions and Kelley and Suzanne will help you embrace this exciting life transition. Freedom of speech, enshrined in the First Amendment, grants all Americans the liberty to speak their minds without the fear of being censored or persecuted. But there are limitations, and lawmakers and judges continue to struggle with balancing free speech protections with the necessity of maintaining a civil and peaceful society. Should inflammatory hate speech be allowed? Should an invited guest at a college be shouted down, threatened, or even physically abused because of radically opposing views? Confrontations are escalating. *Please note: These are livestream lectures presented on a screen in a classroom. Explore Burlington’s amazing historical past from pre-European settlement when Algonquin and Iroquois Nations ruled the area to the Revolutionary War and the War of 1812. Transportation by van provided for tour includes the opportunity to get out of van for each of the four, historical lecturettes at the allotted locations. The Second Amendment to the Constitution established that “a well-regulated Militia being necessary to the security of a free state, the right of the people to keep and bear arms shall not be infringed”. Nowhere does it define “arms”, and it neither permits nor denies gun ownership for private purposes. In 2008, the Supreme Court decided that individuals have an inherent right to own handguns for lawful purposes. But does “handguns” include assault rifles? And Sandy Hook and other tragedies have raised the profile of the gun rights issue to our schools and churches. Is it legal to monitor everyone who has been treated for mental illness? *Please note: These are livestream lectures presented on a screen in a classroom. Sample wines from Vermont’s first vineyard and grape winery. View the vineyard and discuss unique pruning and other cultivation practices related to pests and climate. Tour the production area to understand the steps from grape processing to bottling. Bring your own picnic and later enjoy live music at the Vineyard! Join pianist and Gershwin-authority, Robert Wyatt, co-editor of Oxford University Press’ The George Gershwin Reader, in this lively lecture and recital exploring Gershwin’s life and legacy. View unpublished photographs and hear archival recordings of Gershwin’s radio program. Most U.S. colleges are implementing special Affirmative Action admission policies where academic achievement is only one factor, designed to generate a student body with more economic, racial, sexual, and global diversity. They claim their broader student diversity pool results in enhanced multicultural understanding and critical thinking. Opponents of these policies claim they unfairly discriminate against applicants with better academic qualifications, and thus are a violation of civil rights laws. Several Asian-American students among this group have just sued Harvard, alleging racial discrimination. What are the legal merits of each position? Freedom of the press has been regarded as an essential right in a democracy in which the government is accountable to the people. A free media can be a watchdog that reports government wrongdoing, and it can be free to promote different and sometimes radical opinions on issues. Recently, as the media have proliferated and we have entered the digital world, many of them have reported blatantly inaccurate and “fake news”. Some dark websites have become a forum for bigots, spewing hate rhetoric and inciting unlawful violence. Should some limitations be imposed? *Please note: These are livestream lectures presented on a screen in a classroom. The Fourth Amendment to the Constitution restricts actions of the government to intrude into the privacy of its citizens, ensuring their security in their persons, houses, and property, and their protection against unreasonable searches and seizures. Law enforcement officers in today’s digital world, however, have found new ways to track individuals and get possible incriminating data without a warrant. Authorities and social media can pervasively use an individual’s personal data to track that person’s behavior and communications. Should limits be placed on these actions? *Please note: These are livestream lectures presented on a screen in a classroom. The Voting Rights Act of 1965 outlawed all discriminatory voting practices that denied people the right to vote. But some states have enacted practices that can suppress voter rights – literacy tests, ID cards, residency requirements, purges of voter rolls, and gerrymandering. Are these suppressions legal? And, in 2010, the Supreme Court ruled that corporations and special interest groups have a free speech right to spend unlimited amounts of money in elections. This can drown out other voices and diminish the ability of many voters to hear other views and thus make reasoned decisions. *Please note: These are livestream lectures presented on a screen in a classroom.